A few things we should all be thinking about: First of all, a young man named Justin Carr (his name was initially reported as Cantrell) was shot in the head Sept. 21, the second night’s demonstrations in Charlotte. The first accounts came from clergy and other eyewitnesses including Eddie Thomas, who lives in Charlotte. This is what he penned on his Facebook page. “Been in Uptown Charlotte with the protesters since 7:30. It was peaceful. Chants and stopping traffic and that’s it. Bike cops would let people do their thang then move on. They took the screams and yells and was fine. Then for some reason, riot cops showed up. And within 5 mins (no exaggeration) a dude lay bleeding on the ground, eyes rolling in the back of his head. He got shot with something, maybe a rubber bullet. The account described above matches up with the interviews I conducted last night. where people standing close to Carr noted that police in riot gear showed up, got real aggressive and attempted to kettle people in. They described the emergence of riot police as an ambush. It was at that moment that Carr was shot. We’ll play that interview later this afternoon on our radio show Hard Knock Radio. Charlotte police along with a tweet from the city of Charlotte claim police had nothing to do with the shooting. They followed up by introducing this phrase which has been quickly parroted by corporate news outlets: “Civilian on Civilian violence” or some variation on it. It’s designed to leave the impression that folks who are righteously upset about police terrorism can’t control their emotions and will start fighting and even shooting each other. Civilian on Civilian beef will be the cousin to Black on Black crime, if we are not careful and don’t reject and nip such language and ideology in the bud. It’s also interesting to note that a press release with phone numbers of clergy and eyewitnesses to this shooting were released and sent out last night. When I talked to folks, they were still at the demonstration. So to see morning news packages that captured police pushing protestors, tear gas being shot, trash cans tossed through windows and people frantically running, but no mention of the name of the victim, Carr, who was shot, or this important counter-narrative by the clergy folks and eyewitnesses speaks volumes. Think about this for a minute. A man was shot in the head last night in front of dozens of people and his story has been reduced to “just one of many incidents that took place last night”? No camera crews sent to the hospital to get a report from surgeons if he was operated on. No reports from the morgue if he died. No reports highlighting the concerns of his family, who no doubt would be upset that he was shot. Carr being shot is uttered in the same breath as tear gas being dispensed. Why? Because Black lives aren’t worth a damn and Black death and Black injury is routine. Just for good measure earlier this morning I direct tweeted reporters at KTVU and KNTV the press release with the phone numbers to see if they would follow up and at the very least make note that the accounts police and protestors have of the shooting widely differ. Thus far I haven’t seen anything. Another thing to note is that when news outlets started reporting about Colin Kaepernick and his protest, many of them bent over backwards to highlight tweets and screenshot quotes to build a story. No such thing was done about the shooting last night. Just keep note of the lines being drawn in the sand, the sides people and institutions are picking and agendas being pushed. Lastly, let’s not lose sight that lack of police accountability is what has caused any unrest. The solution that was being sold to us by elected officials – body cameras – has been corrupted and hijacked by police unions who successfully fought to have all sorts of restrictions and provisions as to how and when recordings will be released. Think about this for a minute. A man was shot in the head last night in front of dozens of people and his story has been reduced to “just one of many incidents that took place last night”? If we are to believe the police account about why they shot and killed Keith Lamont Scott, then all they need to do is show the body cam and dash cam footage, where folks could see a man carrying a gun vs. a book and him not complying and being a threat to officers. But now we see everyone hiding behind state laws which say footage can only be released to the public with a court order, and folks are left with having to trust the police and their accounts, which is why cameras were being required in the first place. Update: Who shot Justin Carr? Who shot Justin Carr? You are right now watching an unapologetic “gaslamping” take place, where folks who stood next to this young brother Tuesday night while they were out protesting police terror are being made to feel like they are somehow crazy for what they witnessed. You’re seeing people who should know better automatically accepting police narratives without question and adapting and normalizing police lingo. Many were eager and quick to adapt police lingo and not present fair hearing and space for eyewitnesses who had differing accounts who witnessed Justin Carr’s murder. Anyone using the term “protester on protester” violence, “civilian on civilian” violence or any variation has been pimped and seduced by the possibility of having proximity to power. Anyone adapting and attempting to normalize “police speak” sounds just as backwards as those deceitful corporate backed journalists and media outlets who adapted military terms and tried to sound official when selling the public the false notion that weapons of mass destruction existed leading up to the war in Iraq. Justin Carr was not a “civilian” needing to be “contained” or “ordered around.” He was not some faceless “civilian” engaged in “protester on protester” violence. Justin Carr is not “collateral damage” involved in a riot. He was a young brother calling out police terrorism in his community. You start to refer to him like the police as a nameless “civilian” or protester, you detach yourself from his humanity and his human response to the trauma they caused. Compare the way Justin Carr is described in the police narratives being pushed on us vs. the way he was described by the young sister named Sharleeen who Rosa Clemente interviewed who was with Justin and witnessed him die the other night. Don’t f–kin lose sight of your humanity, people. And as a friend of mine most recently noted, Justin Carr was a Black man. He was a brother from the community who would not be dead if Charlotte police never shot and killed Keith Lamont Scott. 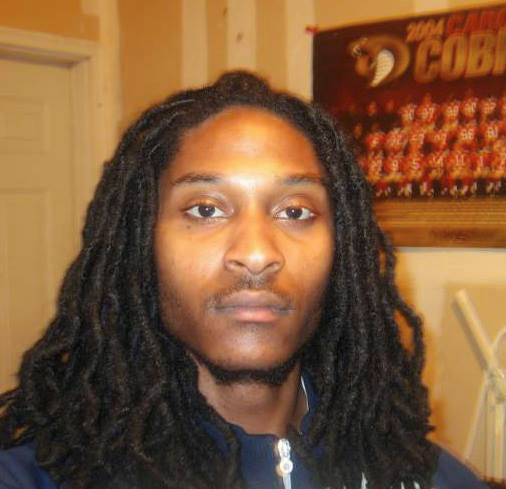 Justin Carr would not be dead if police weren’t shooting rubber bullets and teargas at peaceful protesters. Justin Carr would not be dead if those who we entrust to protect and serve us physically, politically and culturally were not doing death dances with the devil. God bless ‘merica! God Bless Charlotte! Davey D can be reached at mrdaveyd@gmail.com. Visit his website, Davey D’s Hip Hop Corner, and his blog, Hip Hop and Politics, and listen to him weekdays at 4 p.m. on KPFA’s Hard Knock Radio. police shooting of Keith Lamont Scott in Charlotte N.C.